When I was younger, one of my first forays into computer technology was building a desktop with my father. We did research and looked up all of the parts, figured out what we wanted to buy, purchased a case, the parts, and put it together over a weekend. 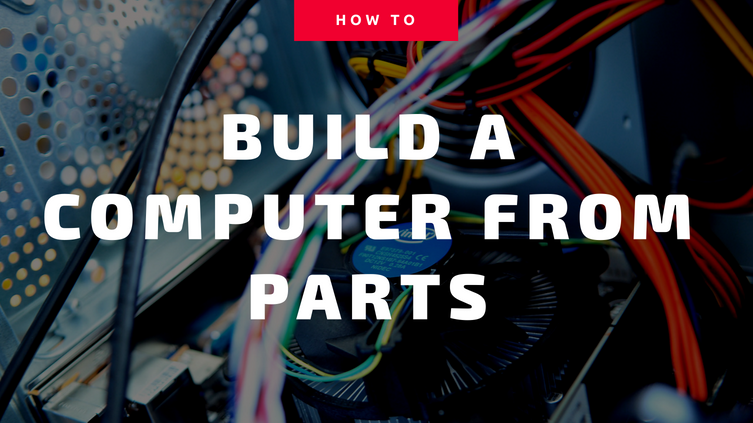 Building your own computer is something that’s actually kind of deceptively simple, but it’s something that’s very cool and gives you a totally different feeling of ownership over the hardware you’re using. I’m not sure what else the computer will need, other than a graphics card and monitor. Can someone teach me? Processor is the brains of the computer. They’re typically around $100 for a decent one. The more money you put in, the better you’ll get. These typically have a couple of different measurements of performance. 1. Cores. Cores are basically other processors that are on the chip. If it’s a dual core processor, it is essentially two processors in one. If it is a quad core, it is essentially 4 processors. This allows the computer to multitask, or to run multiple programs at once. 2. Cache. Cache is memory that is available to the processor directly for read/write information. If the Cache is small, it will slow down the processor, as if it runs through all the stuff in the cache, it may take time to replenish the cache. Don’t skimp on the cache. It’s probably better to get a slightly slower processor with more cache, than a faster processor with less cache. 3. Speed. Speed is typically measured in Gigahertz. The larger the number, the faster the processor. It seems that most of the processors have kind of slowed down in the past 5 years, and the development is in loading multiple cores on a chip. The Motherboard the piece of the computer that links all of the other parts of the computer together. The things that you need to check while choosing a motherboard is that you need to make sure that the processor is compatible with the motherboard. Typically there will be a list of compatible processors in the literature accompanying a motherboard. The second thing, is that you need to check that the ram you’re looking to purchase is compatible with the motherboard as well. There are many different types of RAM, and you want to make sure that the type of RAM you purchase is compatible with the motherboard. Again, check the literature on your motherboard. 2. Speed – Hard drives have a read speed, typically measured in seek time in milliseconds. There’s also an RPM speed. You do not want a large hard drive with a slow RPM, or it will slow down all of the operations on your computer, no matter how fast your processor is. The Graphics Card is something that can be built into the motherboard. If your motherboard has a built-in graphics card, you don’t necessarily need to purchase a new graphics card. If you are planning on playing games, then you won’t want to use a motherboard integrated graphics card. The major players in the graphics card industry are ATi and nVidia. These are typically very high quality products. It used to be that graphics cards were only measured in RAM, but now graphics cards have their own onboard processors called GPUs. The main measurements for a graphics card are going to be the speed of the GPU and the amount of ram it has. It is my experience that graphics cards are constantly coming out, and it is difficult to keep on top of it. Check for reviews of cards to see what you will need. Typically video games will tell you what kinds of video cards will work best with the game. The sound card is something that is typically now integrated on most motherboards. You can always purchase a sound card however if you need more advanced features that aren’t provided on your motherboard. You’ll also need a power supply. Power supplies come in different wattages. Your motherboard will tell you what wattage is required to run all of the devices. DO NOT use a power supply that has less available power than is required. Also, check to make sure that the power supply has a connector that will work with the power plug on the motherboard. It will typically tell you a number of pins that the power connector needs, along with a wattage. Just make sure to match these and you won’t have a problem. Cases are important, because you need to put everything in a case. Cases have a type, and motherboards have a type. There used to be like, AT, and ATX. You can’t mount an ATX motherboard to an AT case, or vice versa. Make sure to match the motherboard to the case type. You will also typically need to purchase fans and install them in the case as well, to provide adequate cooling. There are a number of different cases to meet any stylistic preference. The processor is a Socket AM3, and the motherboard matches the AM3 type socket. These are compatible. The ram is 240pin DDR3, and the motherboard accepts 4 240 pin RAM slots, so this should also be compatible. It says memory standard (DDR3 1333/1066/800) and the ram selected is DDR3 1333. This should also be compatible. The hard drive connector type is SATA, although I’d recommend choosing a bigger one since it’s only 320gb. The motherboard also takes SATA, so this is compatible. There is an onboard videocard and sound card on this motherboard, so he doesn’t actually need to purchase a sound cards or video cards. If he does want more power, he needs to select a Video Card with that is of type PCI Express 2.0 x16, to get the most out of it. Anyway, Good Luck, feel free to ask questions in the comments. Can you build a Mac from scratch?